I must admit, I enjoy hanging out in airports. Call me strange, but once I get through security, I love relaxing and waiting to board. I firmly believe vacation begins during this time! I grab my favorite magazines from the gift shop and a cup of coffee, maybe a gift or two. However, the one thing I never buy from the airport? 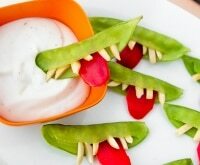 Snacks! I find it’s way easier and more budget friendly to make my own. 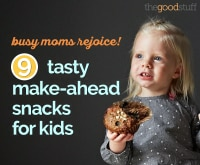 Not only that, but airport snacks are rarely healthy — why spend more to get a treat that isn’t that good for you when you can make your own? I’ve got two healthy travel snacks you’re going to love: 7-Grain & Fruit Energy Bars along with Chocolate Chip, Pretzel & Bacon Cookies. These snacks can be made the day before your trip and carried through airport security (they’re TSA-friendly food). In my opinion they’re much more delicious than anything you can get in an airport gift shop, and definitely less expensive and better for you. 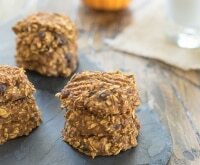 I hope you’ll enjoy these unique recipes for healthy travel snacks! Are you unsure if your snacks or other items will make it through airport security? 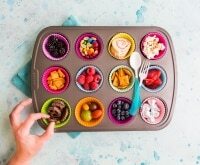 Be sure to check out TSA’s list of prohibited items (click on the “Food” tab to see food-specific items) — fresh whole fruits are good to go! 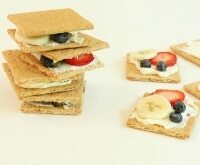 Making your own snacks can be especially gratifying, even if you’re not taking them on a trip! 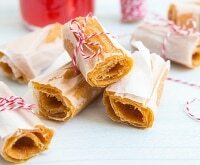 You’ll only need a weekend to make these delicious snack recipes Amy’s shared here, or to make homemade fruit snacks and fruit leather! These energy bars contain a healthy helping of dried fruit. 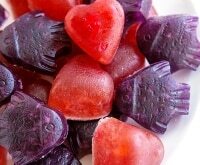 I recommend getting the kind with no added sugar to keep your snack lower in calories; this also lets the natural flavors of the fruit shine through. Save on your energy bar ingredients with Quaker® rolled oats coupons, Blue Diamond® almonds coupons, and MaraNatha™ almond butter coupons! In a non-stick skillet over medium-high heat, toast the oats and almonds until they reach a very light tan color. Set aside. Combine prunes, peaches, pears, apples, and apricots in a food processor. Pulse until the fruit pieces are very small. After every pulse allow fruit to come to a rest before pulsing again. If you use a continuous pulse the fruit many clump together, and you don’t want that. 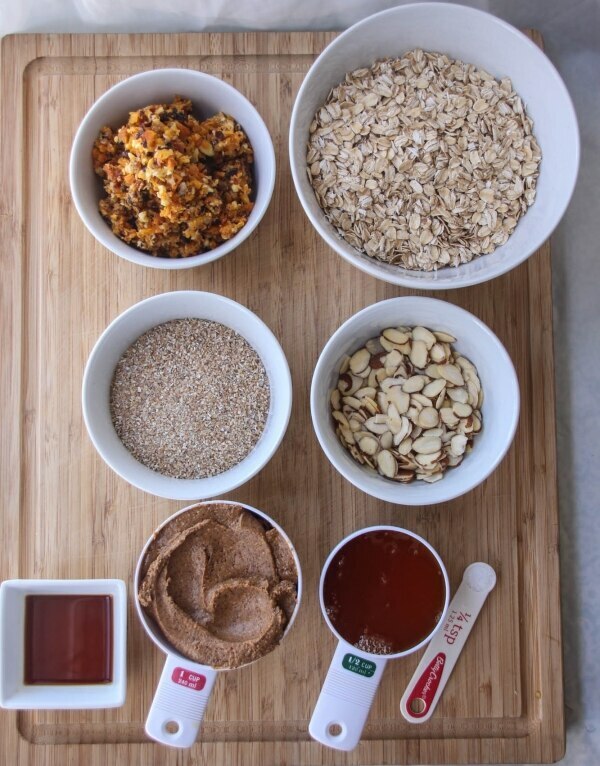 Add processed dried fruit, oats, and almonds to a large bowl and mix well. 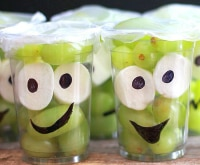 Using a fork, break apart any fruit that’s sticking together and combine it with the rolled oats. In a small sauce pot bring a 1/2 cup of water to a boil. Stir in the 7-grain cereal and stir thoroughly; when the mixture begins to boil remove the pot from the heat and cover. Allow the grains to sit for 2-3 minutes. Add the almond butter, honey, Kosher salt, and vanilla to the 7-grain cereal. Stir frequently over medium-low heat for about 6-8 minutes. Add the almond butter mixture to the oat mixture and combine thoroughly. Work it with a spoon or your hands and combine well. Next, firmly press the mixture into an 9x 9-inch cake pan or 8×8-inch parchment-lined glass baking dish. Compress the mixture into the bottom of the dish until it’s level. Cover pan with a clean kitchen towel and let the mixture firm up in a cool, dry place for 2-3 hours. The longer the mixture sits the firmer the bars will be — I made my bars the day before and allowed them to sit for 24 hours. Cut and package bars for your trip. 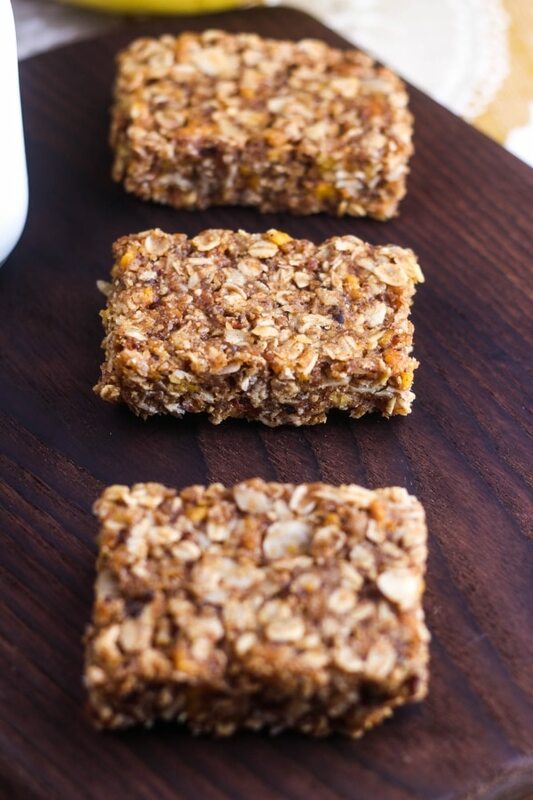 Note: The 7-Grain & Fruit Energy Bars will be firm enough to retain shape, but are still soft. 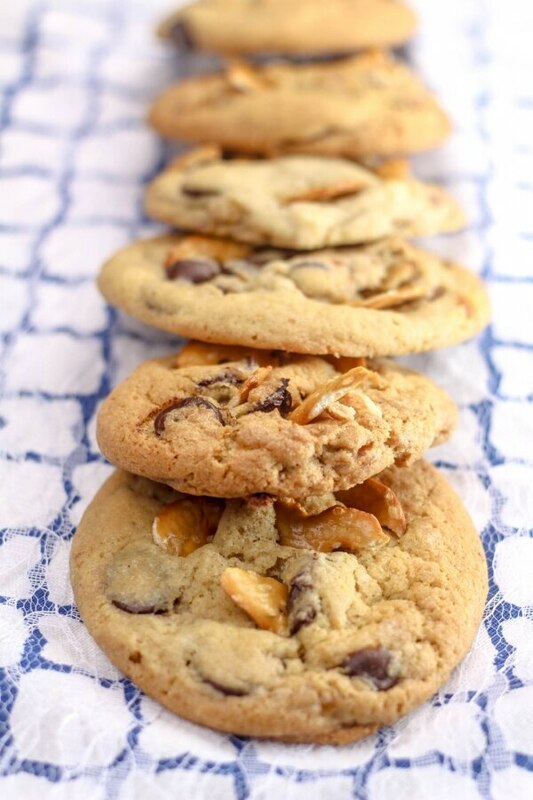 I’ve lightened up the traditional chocolate chip cookie by altering some of the ingredients — without altering any of the taste! Add pretzels and bacon for a unique interpretation of a classic. Add some savings to your recipe with Snyder’s of Hanover® pretzels coupons, Sun Maid® raisins coupons, and Nestle® chocolate chips coupons! Combine sifted flour, baking powder, baking soda, and sea salt in a medium size bowl, set aside. Line a cookie sheet with parchment paper or use a silicon baking mat. Cream butter until peaks form. Add eggs whites and vanilla extract. Fold in the dark chocolate chips (the white chocolate chips are optional). Add 1/3 of the flour mixture at a time until it’s all incorporated into the cookie dough. Add bacon and raisins and stir. Evenly divide cookie dough into two discs and wrap in plastic wrap, then chill the cookie dough in the refrigerator for 20 minutes. 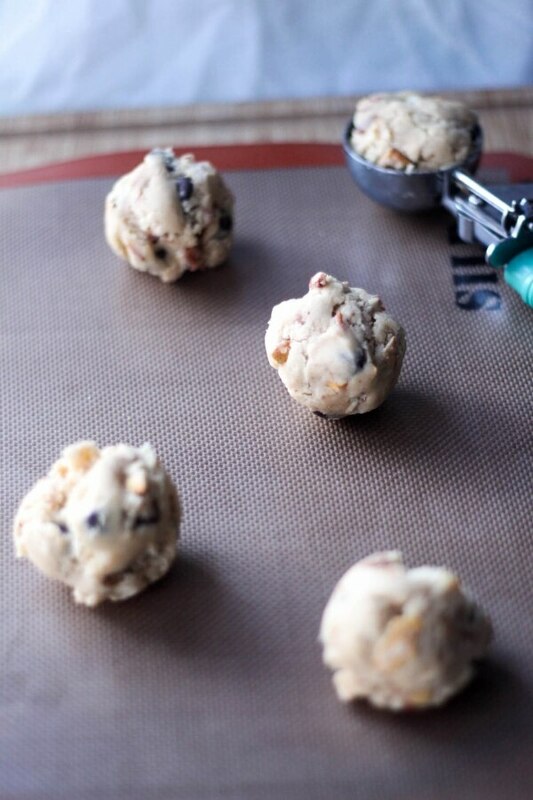 Remove cookie dough from refrigerator and cut dough into 1/3-cup sized sections, roll dough in the palm of your hand into a ball and place on cookie sheet. Remove from oven and while cookies are still hot, insert broken pretzel pieces into cookies. Place in a plastic bag for carrying onto the plane!